Are you tracking companies you compete with in certain business units but not others? 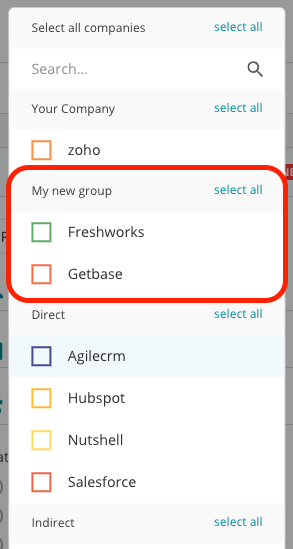 Would you like to filter for a specific group of companies without having to select them one by one? Are you tracking different products or business unit keywords? Would you like to see ads related to a group of keywords? What about receiving an alert each time a competitor launches a new ad for a long tail keyword related to a concept? If you answered yes to any of the above questions, then you will love the Companies & Keywords grouping. How to group Companies or Keywords?